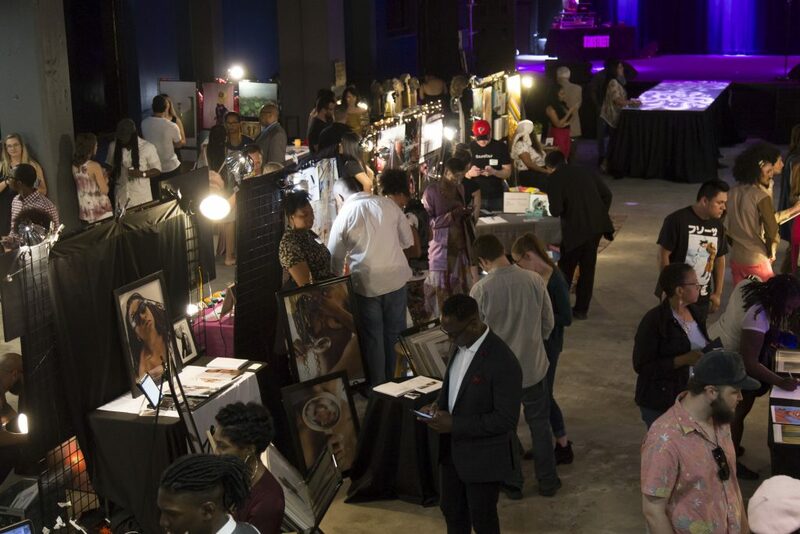 Thursday June 7, 2018, The Creative Folks team stepped into the entrance of RawATL Presents: Magnify to do our first of many, Art Event Reviews! RAW operates across 60 cities in the U.S. alone, Atlanta being one of them (RawATL), as well as in the United Kingdom (U.K.) and Canada. RAW is an independent art organization that is dedicated to serving the art community with “tools, resources, and exposure” (hey, just like us!) through an art show platform. RawATL’s show, Magnify, didn’t promise anything less. At Magnify, the show had 56 artists total with various forms of art in every aisle. You can watch the recap of our walk through on our Instagram highlights! For the average consumer, the cost to get into the show was $30.00 (USD) at the door, but tickets were available for pre-purchase online on for $22.00 (USD). Hats off to RAW for specifically stating they’re an eco-friendly organization; no tickets were printed or mailed. All you had to do was present your name at check-in! Doors were opened at The Masquerade immediately at 7 p.m., and there was already a crowd built up. The space at The Masquerade is ideal for a show this size, as there was enough room for the artists to display their work, display “live art pieces,” and talk to customers, friends, and family. With a crowd of artists, their supporters, and art seekers, it got humid fast! There were plenty of mixed drinks to keep everyone cool, though, but it wasn’t a 21+ only event. TIP: Wear light clothes and carry as little as you can if you’re attending—a small wallet/clutch and your phone will do! The Masquerade is two stories tall, so artists were scattered throughout the entire venue instead of being sectioned off by medium, which is great for artists to have a better chance of being exposed! 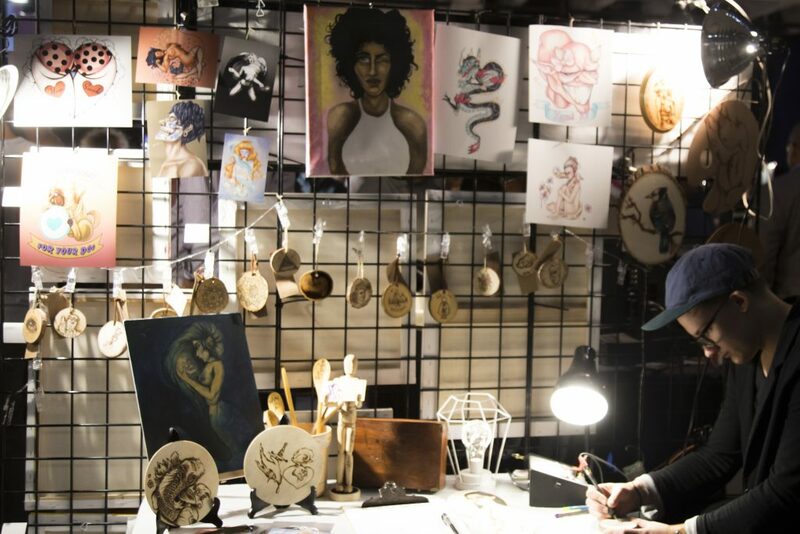 TIP: If you’re an artist, here are our tips on how to up your art booth game! Magnify had a little bit of everything. We passed a lot of different-leveled illustrators and photographers. Visual artists had models display their fashion and makeup. You should expect to see the living local artists according to your city, which, for us, was a big plus—we racked up on interviews with some artists from the show! This is one of the reasons why RawATL: Magnify was great art show. It exclusively features local artists, so you’ll see art from many angles of Atlanta living and what has inspired and shaped the local artists’ creations. 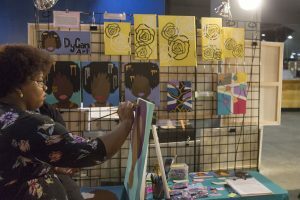 It gives artists the opportunity to get exposure and network with bigger-named art businesses in Atlanta. We’re all about supporting the locals here. The average consumer would probably go in to buy some small collectible arts, such as prints, for example. Check out our haul! But to balance it out, there were plenty of hand-made arts such as beaded work and coasters. The visual artists who did hair and makeup were given the opportunity to display their temporary creations and services in a way you can’t observe in a simple photo. If you’re still wanting to feel it out before trying, you can find a showcase near you and attend it first, which is what we would always suggest you do before going into any market to sell your work. In all, the show was enjoyable! Especially, if you’re looking to do something on a Thursday evening with some friends. The show was not a complex set-up and made art-viewing easy. The artists at the show are open to talk about their work, introduce themselves, and offer you some freebies (yay!). Needless to say, it’s important to support our local living artists. Raw, as well as RawATL, has helped by bringing the community together for this event. We’re looking forward to reviewing RawATL’s next event: CONNECT. Previous PostPrev Post So you want to do an art show?